The festive season is here and shopping sentiments are at its peak which culminated with the Black Friday shopping frenzy. Most surprising of all, NASA launched its own event christened Black Hole Friday. NASA grabbed the attention of the nation, a day after Thanksgiving and released some little known facts about Black Holes. 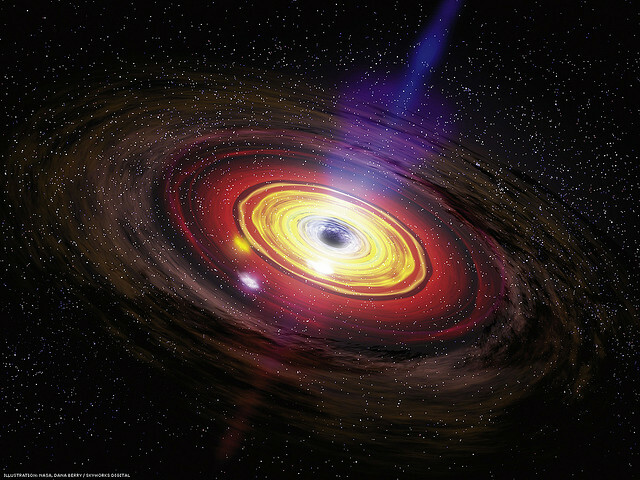 Black Holes are heavenly bodies which are very small in size but are able to generate incredible amounts of gravity. Black Holes are formed by huge stars when they start collapsing and reach the final stages of their existence. The gravitational forces of these collapsing stars are so enormous that even light cannot escape; therefore they appear black and are denoted as Black Holes. The black holes are invisible to naked eye. NASA and other space agencies use specialized equipment to detect these stellar objects. The black holes are present in all gamut of sizes, from an atom to incredibly big, several million times the size of our Sun. The day saw NASA scientists tweeting information about black holes. There were some light moments also with the otherwise serious minded scientists sharing some Black Friday-themed jokes. NASA researchers spent the day tweeting details about black holes. There was also a black hole themed game. The “2-for-1 deal” was a hit, garnering over 1,000 retweets. As Black Friday fever gripped the nation the National Aeronautics and Space Administration also celebrated the yearly retail extravaganza with its own event: Black Hole Friday. It is for the second time that NASA decided to celebrate Black Friday by giving information about the mysterious stellar objects.